Since the advent of the internet, online casino games have taken off. They eliminate all of the hassle of having to travel to the casino, retaining all of the mental deliciousness—and of course, the opportunity to win your weight in gold. In short, playing casino games online is rush of excitement that turns your computer into a localized fun factory. When anyone these days can pick up a computer and write a program, it becomes all the more important for the keen and discerning gambler to know which games are worth playing, and which are not so great. Most online casinos offer their own specific flavours to tried and tested classic games, giving them their own unique flair and theme. But aesthetic is only part of the equation, and deciding on which online games demand your attention is also knowing how the game ought to be played. With that in mind, this blog will cover some quick-and-dirty tips for finding the best online casino games, and then we’ll take a quick look at the games themselves. It’s super easy. Let’s rock and roll. I’m a fan of the card games in casinos, so one of the things I’m sure to take into account is whether the software uses a RNG (random number generator) to ensure a ‘well shuffled deck.’ Most casinos use RNG; it is more or less the standard. This most definitely includes Silver Oak Casino. However, some casinos do not. If the game you are considering playing looks like it was coded by some guy in his basement, chances are it was. Who knows how the game is going to behave? Also, you want to consider what sort of odds and bets are allowed. For instance, are looking for more of a 50% chance at winning? Then a game like roulette is perfect for you. 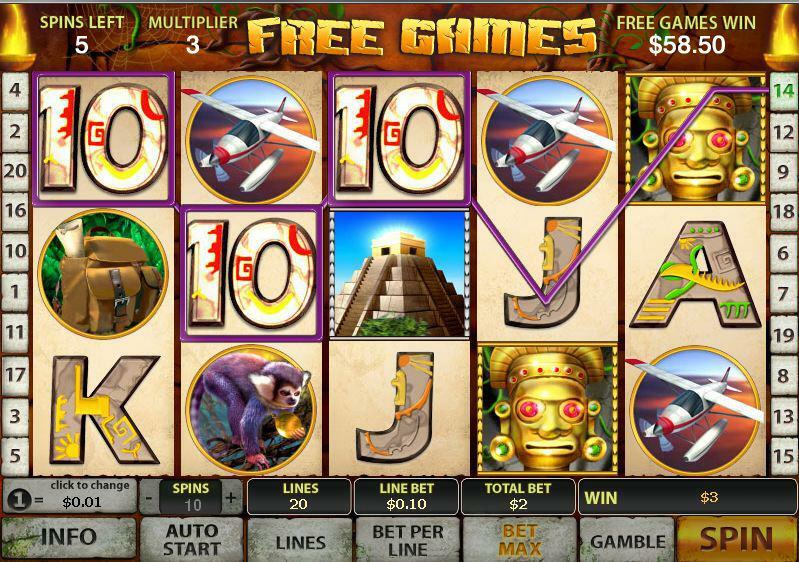 Or are you looking for something with a bit more volatility – like slot machines? That is, where when you win, you win BIG. Finally, you want to consider what the game itself looks like. If you are going to be looking at it for an extended period of time, you want to make sure you don’t find certain elements abrasive. If you hate pirates, don’t play a pirate-themed slot machine. Simple, right? Ok, moving on. Let’s look at the games themselves. Personally, Atlantic City Blackjack showcases all three of the above qualities in spades (excuse the pun) – not only is it fun and fast, but the pay-outs are always easy and hassle-free, and allows players from every skill level to compete equally. Part of this involves having a wide selection of betting options, and the beautifully rendered graphics draw you right into the game and make you feel like you’re sitting right there at the edge of the table. As a card shark, I can’t miss out on Online Texas Hold’em Poker. The beauty of playing online also has to do with the social element of Poker, that is sometimes lost – you’re playing with folks from halfway around the world, and the edge and excitement of a real-life game isn’t lost. Again, the joy of Poker is that it doesn’t discriminate based on skill level, and online Poker offers the option of playing with fake (or ‘fun’) money, that allows a player to get a feel for the game and the players before investing any real cash. Although there’s less strategy involved, Online Roulette is also a favourite, and ups the ante by offering a variety of betting options – sometimes with extremely generous payouts – but still somehow retaining the classy thrill of a real roulette table. Many online casinos have a Card Roulette variation, which has 52 cards as opposed to the red and black slots of a conventional table. For the slots maniac, there are literally thousands of different Online Slots, all with their own themes and bonuses, and many with progressive jackpots that get larger and larger. Maybe it’s the nostalgia of Vegas, but the slots that seem to incorporate an Egyptian motif are also very engaging and speak to equal parts mystery and fortune. It’s impossible not to imagine the wealth of a Pharaoh lingering behind the next click of a mouse. Go Forth, and Win Big! At Silver Oak Casino, we encourage smart gaming. This doesn’t mean you have to be that smart—gaming is for everyone—rather it means that we want to see you succeed as much as possible. We want to see our players making the best decisions that they can because proper instruction will amp up the intensity of any game. The key to our industry-leading gaming experience stems from our meticulous instructions on rules and gameplay. Is the online casino reputable? Does it have a notable payout? And of course, is it fun? If you can check off all three, than you’ve found a keeper. At this point you should hop into one of our WebPlay games, or if you have fallen in love with our helpful attitude already, then get to downloading the full Silver Oak Casino experience.